A weekend celebrating culture (the music kind, the yeast kind) and exploring the beautiful Izu Peninsula in Shizuoka Prefecture. Yumigahama Beach, Shimoda, Izu Peninsula, Shizuoka Prefecture. We begin with a visit to the extraordinary museum of musical instruments in Hamamatsu. A city of engineering excellence (Honda Motor, Yamaha Motorcycles), it is also a city of superb craftsmanship. Kawai Piano, Roland, Yamaha and other excellent manufacturers of musical instruments are based here. The museum contains an amazing selection of musical instruments from around the world, with good descriptions and plenty of audio samples. There is everything from medieval stringed instruments from Europe, to wind instruments and samples from indigenous musical traditions. There is a music room where you can play a wide range of instruments, and the staff often play the antique pianos, harpsicords and organs to explain how they gradually evolved as craftsmanship progressed. There is the inevitable gift shop, but it is quite quirky as well, and well worth a browse at least. Our next destination showcases a different type of culture. For centuries, fine sake has been brewed in Hamamatsu by Tenjingura. In recent years, after Japan’s laws pertaining to the brewing of beer (the most popular alcoholic beverage in Japan) were liberalized in 1994, a number of microbreweries have been established. 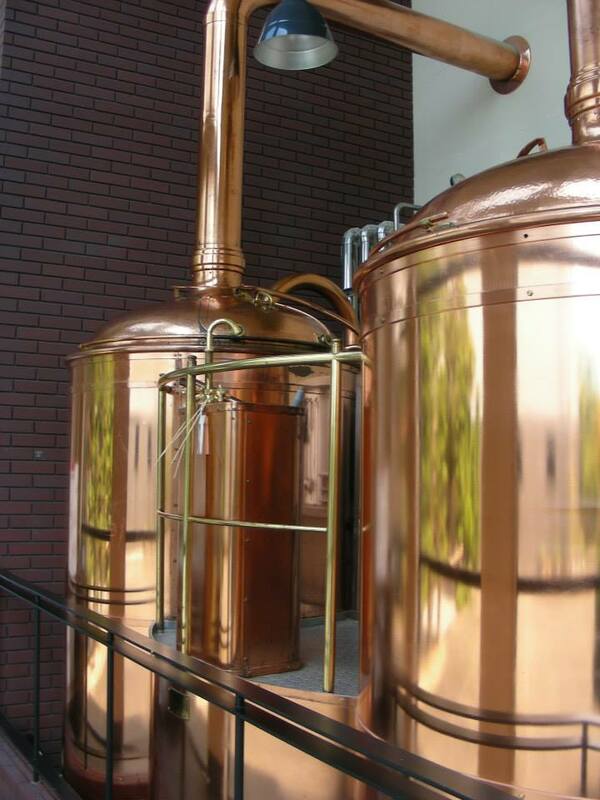 As the process and knowledge required for brewing sake and beer are in many aspects similar, many of the more successful microbreweries have been started by long established family owned and managed companies such as Tenjingura. There is a small restaurant/sampling room (we will also have lunch here) where you can try the beers on tap, fresh from the brewery next door, as well as any of the fine sake options on the menu. The food is also pretty good, so bring your camera along if you enjoy a little foodporn. From Hamamatsu we will head to the city of Numazu, just past Mount Fuji. We will visit 2 places here. The first is Numazu Goyoutei. Built in the late Meiji period, this complex was more or less the Emperor’s beach house. Now open to the public, it is where the Meiji, Taisho and Showa (Hirohito) emperors could escape the heat and humidity of Tokyo. It contains many artifacts (the tricycle that Hirohito rode in his childhood for example), a perfect billiard table, and beautiful glass windows and architecture. It is an interesting blend of western and Japanese design. The second destination is a good example of the new type of microbrewery appearing in Japan. Baird Beer was established in 2003, by an American migrant to Japan, Bryan Baird and his wife, Sayuri. Apart from the brewery itself, we will visit the taproom for dinner and for sampling. Please let us know in advance if you are a vegetarian or have other special dietary requirements. Dinner is included in the tour fee (the beers you will drink are not!). Hotel accommodation is single room unless shared or double rooms are requested. On Sunday we will leave Numazu and explore the Izu Peninsula. Our final destinations for the day are the historic town of Shimoda, Declan’s favorite bridge, and the amazingly beautiful Yumigahama beach. It is as beautiful as Goza Shirahama in Mie Prefecture. Apart from enjoying a break from the heat, the perfect sand etc, we will also have a keg of craft beer to enjoy. This will be served on tap as we are bringing our own electricity generator, gas cylinders, and beer server (as you do) to the beach. All included in the tour fee. Kanpai! Applicants for this trip need to be a minimum age of 20 years by date of application.